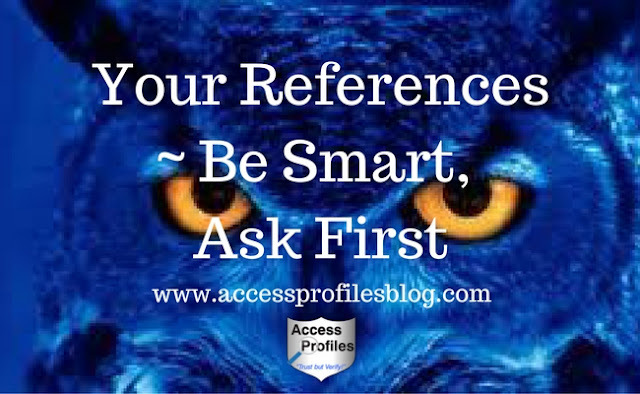 Access Profiles, Inc.: Your References ~ Be Smart, Ask First! Do You know what Your References will say about You? This simple step can save you from the embarrassment of a less-than-stellar recommendation and give your references a most welcome heads up. In fact, this common courtesy can greatly increase your chances of getting the job. Your references will have had the opportunity to gather their thoughts beforehand and will not be caught off guard ~ giving you the best chance of your references working for you instead of against you. When references are contacted unaware, they often stumble. Dates and titles elude them. Specific projects you may have worked on or tasks you lead are unmentioned. This can lead to an unimpressive reference report. 7 Tips for Getting You the Best References! "Tweet This"
Take a look at your resume and for each employer, list your managers, supervisors, and even relevant co-workers. Include any internships or volunteer positions you may have had as these can be great sources. Think of this as your first draft and just write down anyone who comes to mind. Now is the time to take a hard look at who you listed. Keep those that know you and your work well, and eliminate the others. Strive to have 2 or 3 quality references for each of your jobs listed. Be sure to choose people who will be able to clearly express your talents and accomplishments and who know your character. The important thing is to make sure they will show you in a good light. Recruiters are especially interested in hearing from people who observed your performance regularly, with recent references first on the list. Make sure whoever you list can share real examples of your work ethic, specific skills, and any assets you brought to the organization. If you are a recent graduate, or have a limited work history, listing your former Professors or Advisors can be helpful.In this case, be sure you list those who taught courses where you were active and excelled. You can also list managers or supervisors for any summer positions or internships you held. Just be sure they meet the criteria listed above and will speak well of you. Get in touch with each of the people you plan to list as a reference to see if they are willing to help you. It at all possible, go see them in person or phone them. Rely on email only as a last resort. What is important here is that you ask politely and allow them an out. Sometimes people may not be comfortable giving references or feel they do not have the time. Either way, if they are at all reluctant, then it is best to move on and ask someone else on your list. You only want people who are eager to help you in your new job search. After all, you want them to help you shine! 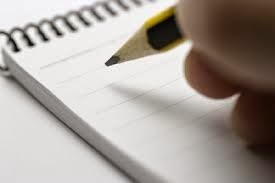 Once you have your final list, it is time fill them in on the details. Make sure they know the job you are seeking and with what company. It is also helpful to give them a quick rundown of the skills they are looking for in the job description. Anything you can do to help them prepare, the better. That can even mean supplying them with a copy of your resume to refresh their memory. Most references will be happy for the help. Make sure that you have up to date contact information for each of your references. Confirm their current company and job title. Also be sure to ask them the best way to reach them ~ at work, on their cell ~ and list that as the main contact number. 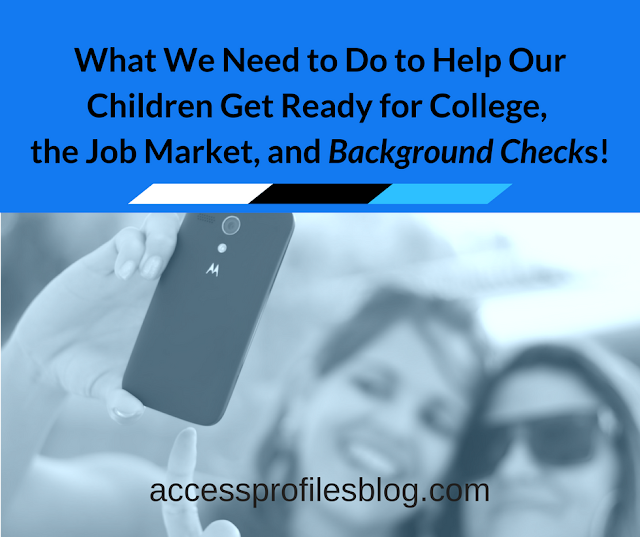 The key here is to make it as easy as possible for your potential new employer, or the background check company they hire, to reach your references. 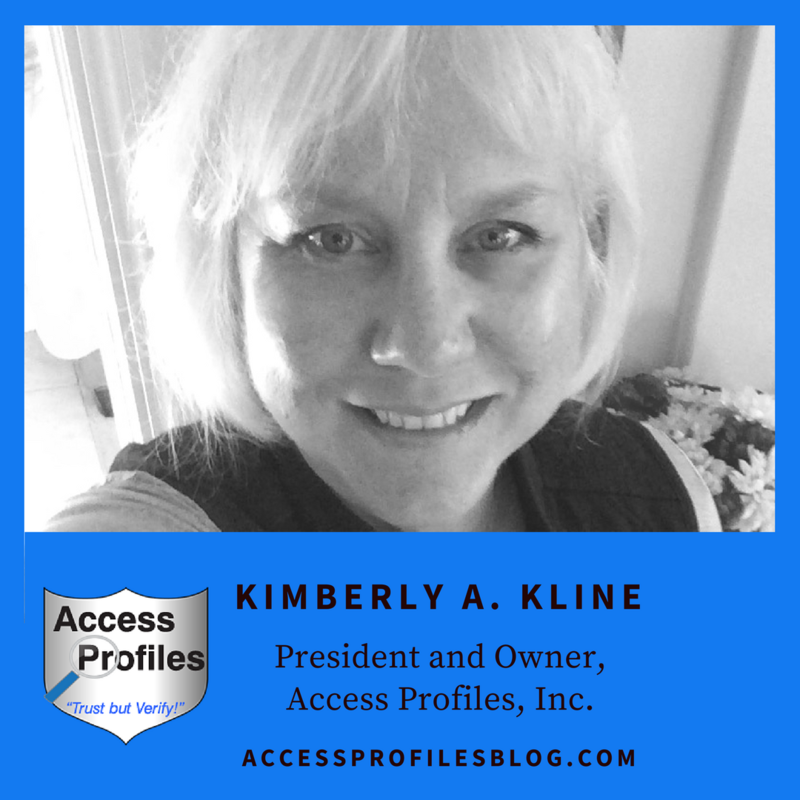 Causing delays by giving them incorrect information will put you in a bad light ~ and if they use a screening company, this will definitely get back to them (believe me!). Now you can create your stellar reference list. Include all pertinent information for each reference ~ name, company & title, contact number and email. It is also good to list the dates you worked with them and where. You may even want to include a short description of your working relationship, whether they were your direct supervisor, department head, etc. 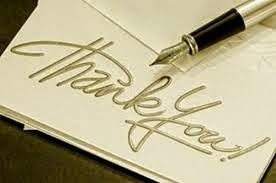 Sending a thank you note to your references is a great way to show them your appreciation, and to let them know if you landed the job. Even if you were not successful, this little gesture will ensure their help as you continue your job search. And you never know when you may have the opportunity to work together again in the future! While not all potential employers will ask for a list of references, if you follow these tips you will be ready if they do! Why You Should Run a Background Check on Yourself. Each are designed to help you put your best foot forward and get the job you want! Good Luck! Looking for a Job? Check out our Applicant Services. Here you will find information on how API can help You get Hired! for more articles about hiring and background checks. Thanks so much Marilyn. Over the years I have seen quite a few derailed in their job search over poor references. I really appreciate you taking the time to read and leave a comment on my article!